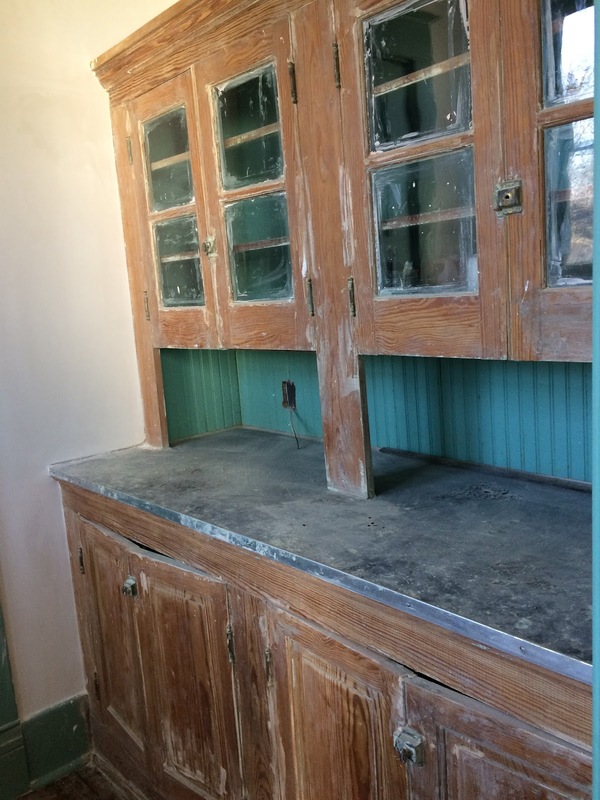 This was a very recent job that I completed on-site at a house located at 198 Natchez Street in Collierville, Tennessee that is undergoing a massive renovation and add-on. It's called "The Stratton House Bed & Breakfast". The house was built in 1860 and the contractor over the house renovation commissioned me to do some work on different parts of the house that needed some TLC. Below are pictures of the recent work for your enjoyment. Thanks for reading! BEFORE: BUILT-IN WALL CUPBOARD WITH YEARS WORTH OF PAINT. THE HOMEOWNER HAD STARTED THE PROJECT AND GOT VERY FAR, BUT DECIDED THAT SHE WANTED A PROFESSIONALS TOUCH. AS YOU CAN SEE BELOW, IT NEEDED A LOT OF WORK. AFTER: STRIPPED THE REST OF THE WAY AND REFINISHED IN A HONEY COLOR. I MADE SURE IT KEPT IT'S VINTAGE APPEAL PER THEIR REQUEST. IT REALLY TURNED OUT GREAT! THIS WAS THE SECOND JOB TO TACKLE. 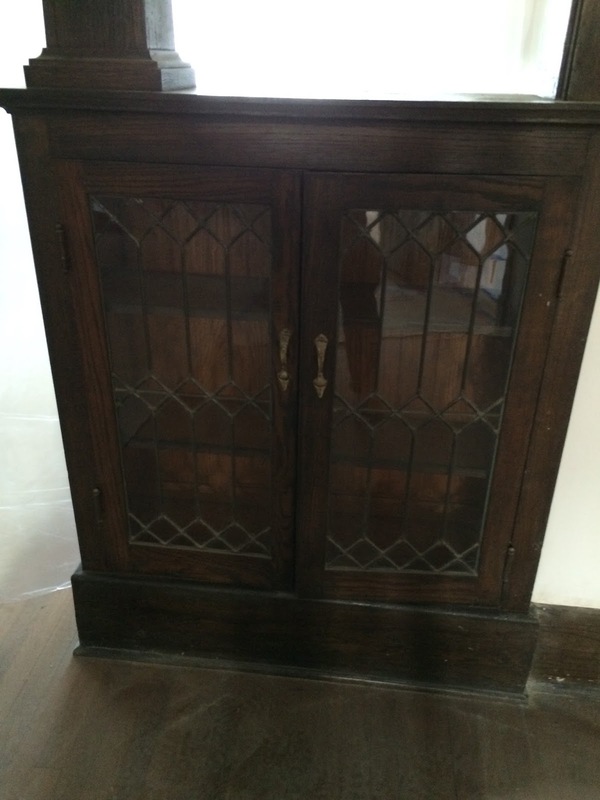 THERE ARE TWO OF THESE LIBRARY CABINETS IN THE HOUSE AND THE TOPS OF BOTH WERE WATER DAMAGED. IT MAY BE HARD TO SEE BECAUSE OF THE LIGHTING, BUT THERE IS A HUGE SPOT ON THE OPPOSITE SIDE THAT IS CRACKED AND PEELING. THIS WAS THE CASE ON BOTH CABINETS. I STARTED THE STRIPPING PROCESS ON THE TOPS. THIS PART TOOK THE LONGEST, BUT THE PREP WORK IS THE KEY. IF YOU GET THIS PART WRONG, THE WHOLE JOB IS COMPROMISED. DONE! AGAIN, IT MAY BE HARD TO TELL FROM THE PICTURES BECAUSE OF LIGHTING, BUT THE MATCH WAS DEAD ON. 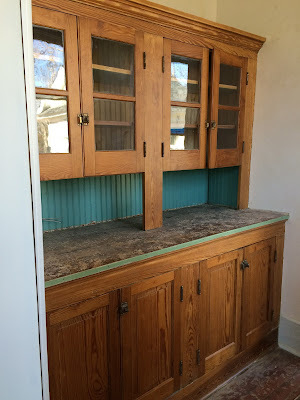 I MADE SURE TO MIMIC THE DULL PATINA ON THE BOTTOM PORTION OF THE CABINETS DUE TO AGE. THIS WAS THIRD ON THE PUNCH LIST. NEW OAK TRIM WAS INSTALLED OVER THE WINDOWS AND DOOR CASING TRIM AND NEEDED TO BE FINISHED TO MATCH. THIS MATCH WAS DIFFICULT DUE TO THE LIGHTING, BUT IN THE END IT CAME OUT VERY CLOSE AND THE HOMEOWNERS WERE VERY HAPPY, WHICH IS ALL THAT MATTERS.